Simon Whitehead is a founding partner of Joseph Hage Aaronson LLP, a specialist London litigation firm, where he practises in tax litigation. He was previously the partner in charge, international, of Dorsey & Whitney, and head of its award-winning tax litigation team. He has practised exclusively in tax litigation in the UK for over 15 years. He is best known for actions against the UK Revenue for the recovery of taxes claimed to have been overpaid on the basis of a breach of EU treaty rights, or the terms of double taxation conventions. He has represented taxpayers in most of the seminal cases in the area in the UK, including the Marks & Spencer group relief action (C-446/03 Marks & Spencer v. Halsey) and the Boake Allen case, which was the leading case on the interpretation of the non-discrimination clause in double taxation treaties. He is top rated for tax litigation by both leading UK rating publications, Chambers and The Legal 500, and has won many awards. His team has ranked top for contentious tax in the Chambers UK Guide since 2008, and he is quoted as having ‘boundless energy and enthusiasm’, as ‘very creative’, ‘excellent on case management’ and ‘a recognised leading authority in the areas of EU tax law’. His team has also ranked top for tax litigation by The Legal 500 since 2009, with Simon quoted as being ‘relentless in achieving the best outcome for his clients’. 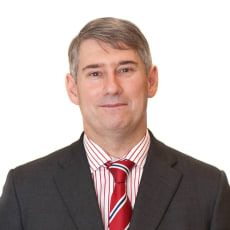 He was selected as the lead and test case solicitor in almost all the current group litigation orders in the Chancery Division of the High Court of England and Wales, in which multinational company groups challenge the lawfulness of various UK corporate tax imposts, including the ACT Group Litigation; the Loss Relief Group Litigation; the CFC and Dividend Group Litigation; the Thin Cap Group Litigation; the FII Group Litigation; and the ROSIIP Group Litigation. Simon regularly contributes articles to specialist tax publications such as Taxation, Tax Journal and International Tax Review.